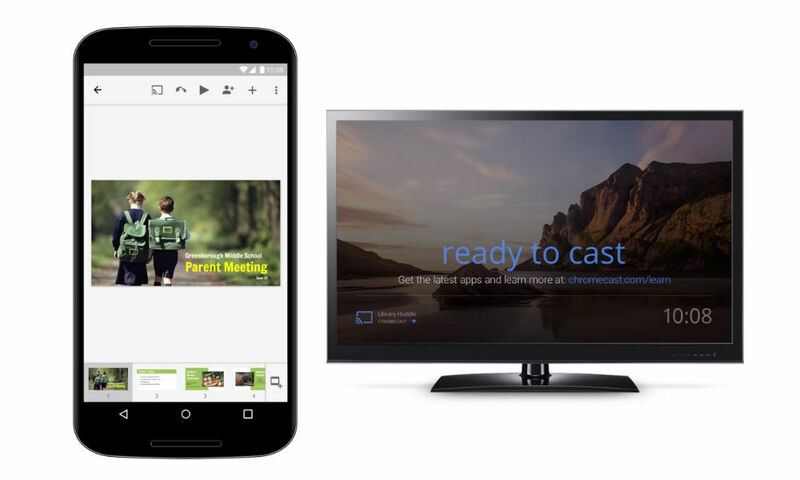 Google Slides received an update this morning, bringing support for the Chromecast HDMI dongle. Once updated, users can send their slide presentations straight to an HDTV, while the smartphone then becomes a remote for controlling playback. This update is perfect for those of you who perform presentations at board meetings or at your local library. Just make sure you bring your Chromecast with you and get it all set up over the WiFi network at wherever you will be presenting. iOS users can also join in on the fun, as the app for iPhones and iPads now supports AirPlay.